Making without additives for the first time results in many many questions. Which the “conventional” wine professionals can’t answer. Like: should it remain on the lees in the barrel? How long? And should I stir? And how often? Luckily producers of natural wine are amazingly helpful. So it has been in the planning process and so it works now. One of the wines I’ve been drinking lately was a Sylvaner from Jean-Pierre Rietsch. A delicious white from Alsace full of yellow fruits without being fruity but a little bitter. On its back label it says that the wine has been on the yeast for nine months. 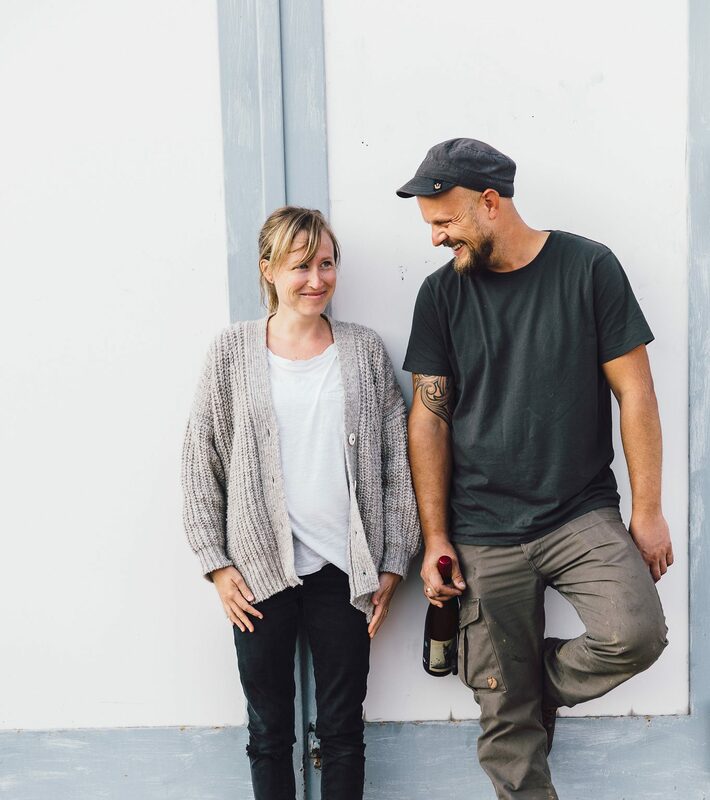 Interested in more details I got in touch with Torben Bunte who runs a little natural wine shop in the German interwebs (and where you can buy the Rietsch Sylvaner). What a helpful fellow. He got me contact details of so many winemakers, I now have telephone jokers for many follow-up questions. I called Jean-Pierre last week. He told me that his Sylvaner had been sitting on its lees in a steel tank without being touched for nine months, so no stirring. We talked about which pumps work well for the bottling process (slow ones) and rotten grapes in the yeast (not overly dramatic if it’s not too much or the wrong rot). So I felt encouraged and confident to leave our Silvaner aging with all the yeast for a couple of months. Bubbles still pop out of the airlock – malolactic fermentation is taking its time but the Silvaner tastes a little creamier than it did last week. I think that’s a good direction. Still not sure about the stirring though. Our consultant Hermann Mengler as well as my colleague Stefan Vetter – another natural wine maker in the neighbor town – said stirring might support the creaminess. Hm.